Project CARS (or Community Assisted Racing Simulator) is a racing simulation game that's been on everyone's radar since its drool-inducing visuals started to make the rounds as far back as 2012. 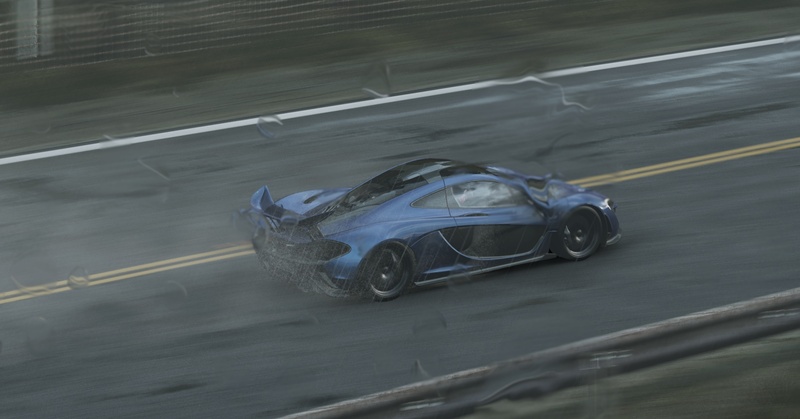 Like Gran Turismo and Forza Motorsport before it, Project CARS intends to deliver a highly realistic driving simulation. But to distinguish it from the pack, developer Slightly Mad Studios has made the game an open experience that allows players to choose from a variety of motorsports paths and grants immediate access to all tracks and vehicles. Project CARS has been funded by the community and developers without financial aid of a publisher, which is the traditional route. During a lengthy closed beta period, contributors could buy 'Tool Packs' that allowed them access to development in roles like content creation, QA, and marketing media depending on the pack. Project CARS was built on top of an improved version of the Madness engine, which was the basis for the Need for Speed: Shift titles. In short, the game looks amazing and is the most visually impressive racing simulator we have ever seen. The game has some pretty hefty system spec requirements, too. For low graphics settings Project CARS calls for at least a quad-core processor running GeForce GTX 260 or Radeon HD 5770 graphics. However if you want to enjoy the superb graphics that Project CARS can serve up then the developer suggests an Intel Core i7 or AMD FX-8350 processor -- asking for a Core i7 over a Core i5 is interesting -- while on the GPU front, the suggested spec is too vague to be particularly useful. Fret not, this is what this article is all about. Despite a lengthy early access period, this racing sim hasn’t launched without its issues. Actually, it's just one big issue: the game runs horribly on any AMD GPU. Somehow no optimization has been dedicated to AMD Radeons when at least one in three PC gamers own one. “We've provided AMD with 20 keys for game testing as they work on the driver side. But you only have to look at the lesser hardware in the consoles to see how optimized we are on AMD based chips”. "We're reaching out to AMD with all of our efforts. We've provided them 20 keys as I say. They were invited to work with us for years, looking through company mails the last I can see they (AMD) talked to us was October of last year". He continued: "Categorically, NVIDIA have not paid us a penny. They have though been very forthcoming with support and co-marketing work at their instigation. We've had emails back and forth with them yesterday also. I reiterate that this is mainly a driver issue but we'll obviously do anything we can from our side". So it seems AMD have been slacking off, something we have certainly noticed this year. After making a big fuss about their new Omega drivers, we haven’t seen an official update since December. Although we don't expect frequent driver updates from AMD, waiting almost six months seems like a stretch. Last month’s Grand Theft Auto V optimized Beta driver could have become official by now. 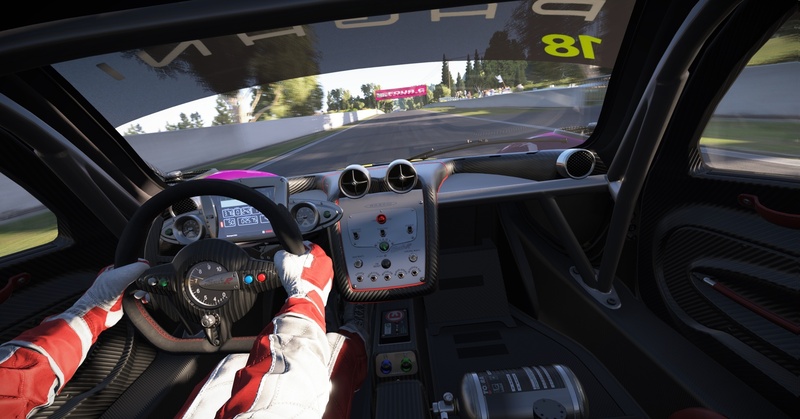 AMD has responded they are working on a fix for pCARS, but in the meantime we've gone ahead and tested current generation Radeons, which will show the performance gamers are experiencing out of the box today. Once AMD releases an improved driver we will re-test not only current-gen GPUs but also cards of the previous few generations. Today's test is also comprised by the full range of Nvidia GPUs and CPU tests conducted using the GeForce GTX Titan X, so these results won’t need to be updated later. Using the latest AMD and Nvidia drivers, we tested nineteen DirectX 11 graphics cards covering most price ranges. Our test rig was outfitted with an Intel Core i7-5960X to remove CPU bottlenecks that could influence high-end GPU scores. Using FRAPS we recorded the first 60 seconds of a solo race at Nürburgring in Sprint mode with a Formula A car and 20 AI controlled opponents. The same conditions, track and cars we used each time and the results are based on an average of three runs Nürburgring in Sprint mode with a Formula A car. 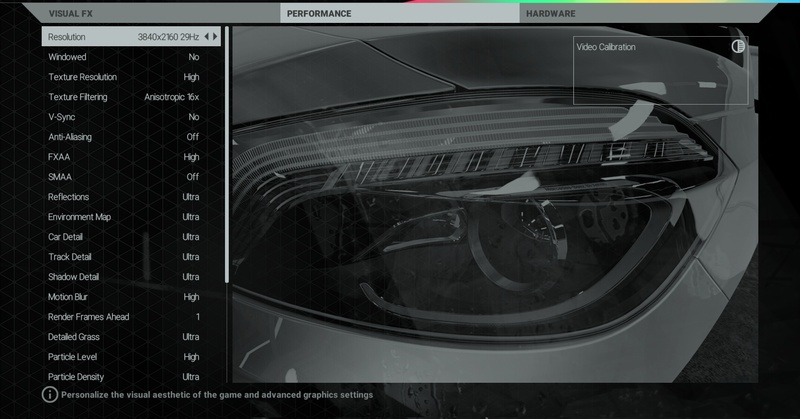 Project CARS was tested at three resolutions: 1920x1080, 2560x1440 and 3840x2160. We selected the highest visual quality settings with FXAA enabled. Additionally, we tested using ‘clear’ and ‘rainy’ weather conditions, the latter being by far the most demanding.